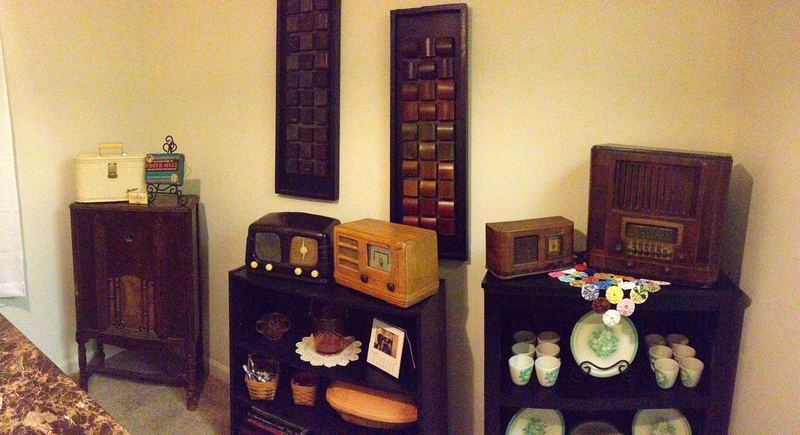 Ever since we got the new table and then I bought the new radios, I just keep going back into my dining room and rearranging things. I did it again today and I think I’m finally done (for now.) 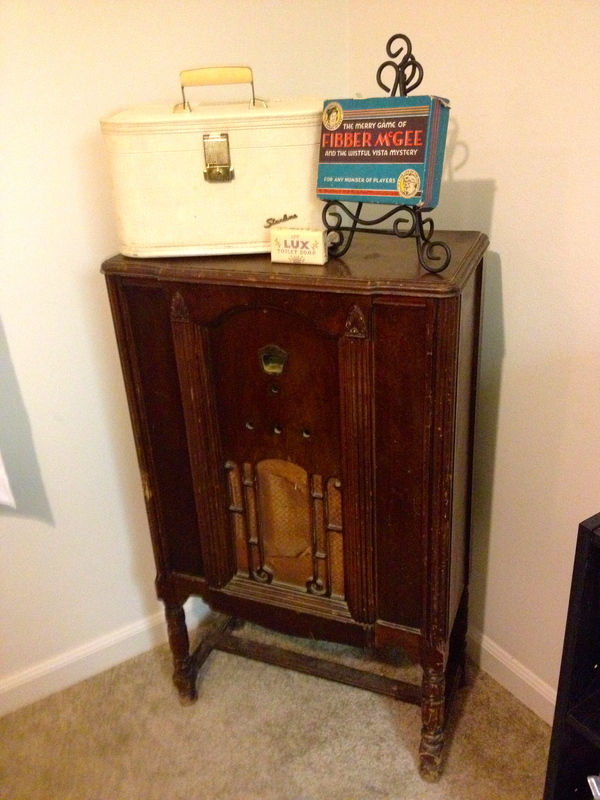 I was keeping an old radio upstairs that needs restoration but I decided to finally bring it down, in all it’s shabby chic glory, to keep with my other radios. I polished up and rearranged things that were already in the room. I also did some research on it – it’s a Philco Model 38 Lowboy (because it has legs.) My best guestimate is that it is from 1933-34. It’s missing the dial and knobs and I’d like to find replacements and have it refinished. Plus, I’ve had this poster for a while and I finally got a frame and hung it up today. 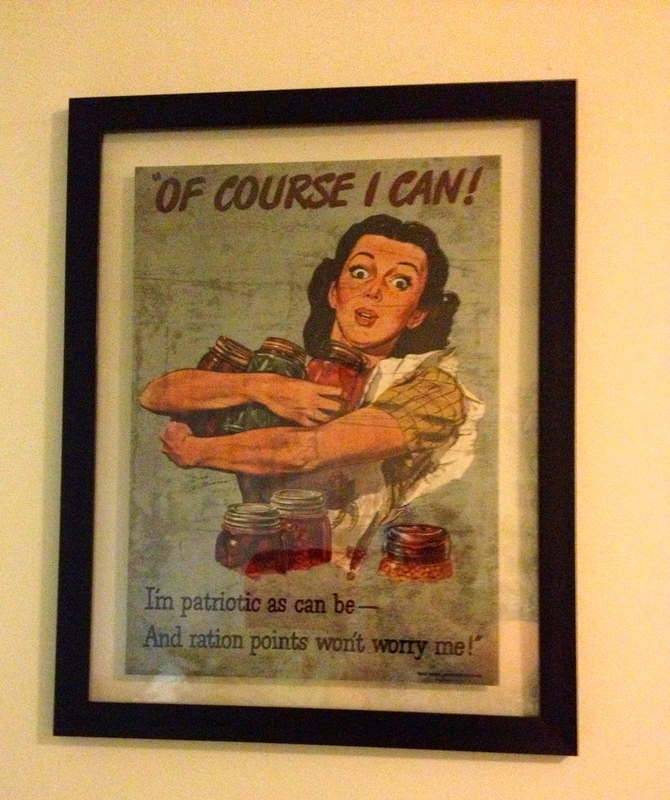 It’s my absolute favorite World War II-era propaganda/war effort poster! Previous Post My new site is live! Next Post Omigosh omigosh omigosh!!! !